Cupcakes 'n Daisies: More Eventide . . . .
How about a little more Eventide . . . 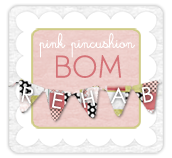 I'm still getting updates from folks who participated in the Eventide Sew Along. I'm always excited to hear from my fellow Eventide participants and thought you would probably enjoy hearing from them too. 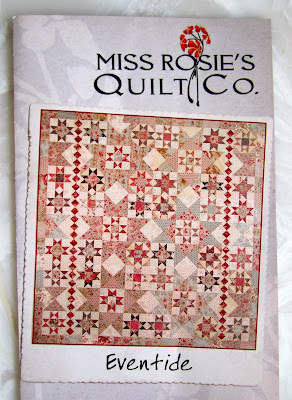 Eventide was designed by Carrie Nelson for Miss Rosie's Quilt Company. but now it's all quilted. Here's a nice shot of the back of Gayle's Eventide. 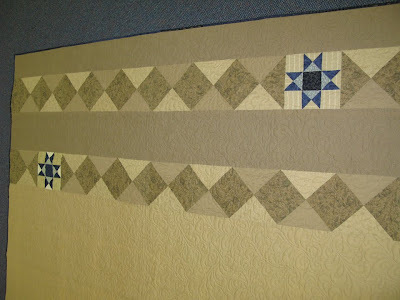 Gayle went with an overall quilting pattern and used leftover blocks to create those extra rows, which I think look great. It gives her a little something extra when she turns back the quilt. 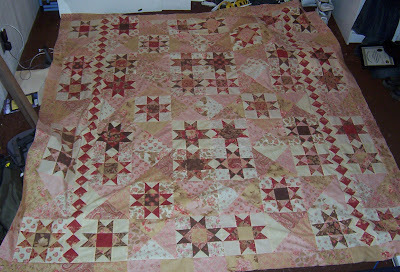 Gayle also "borderized" her Eventide by adding an extra row of rectangles to the top and bottom, to make it a little longer. Gayle your finished Eventide is amazing, Congratulations! 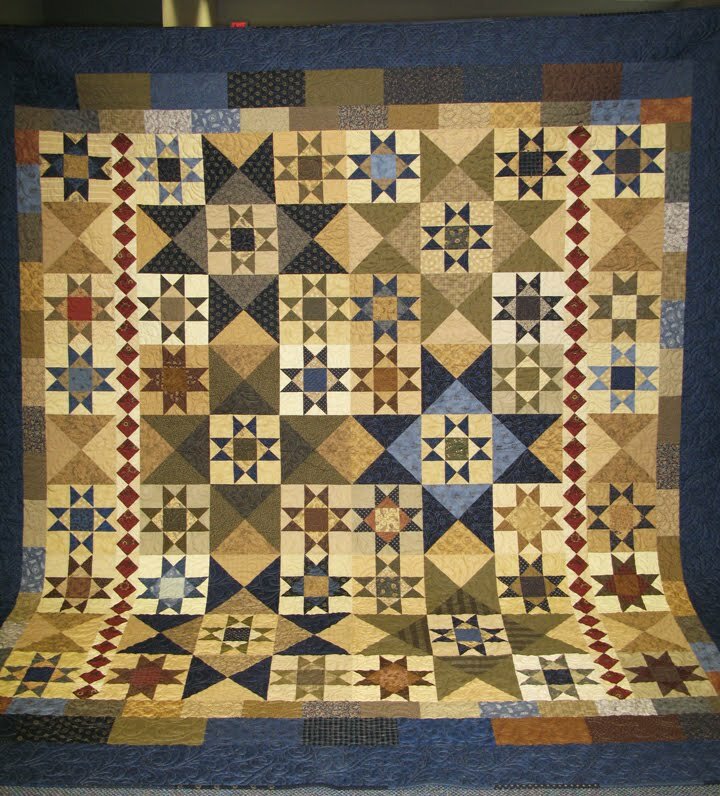 Gayle enjoyed having a deadline and sewing along with her Eventide sisters and said, "I would not have made this quilt if it weren't for your sew along". Well Gayle that quilt is lovely, I'm so happy you joined the sew along, we enjoyed watching your progress. 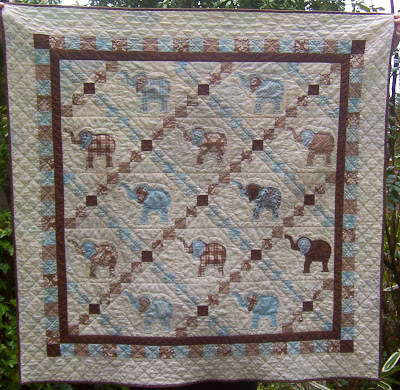 so she went with this adorable brown and blue elephant pattern, that's one lucky baby boy! 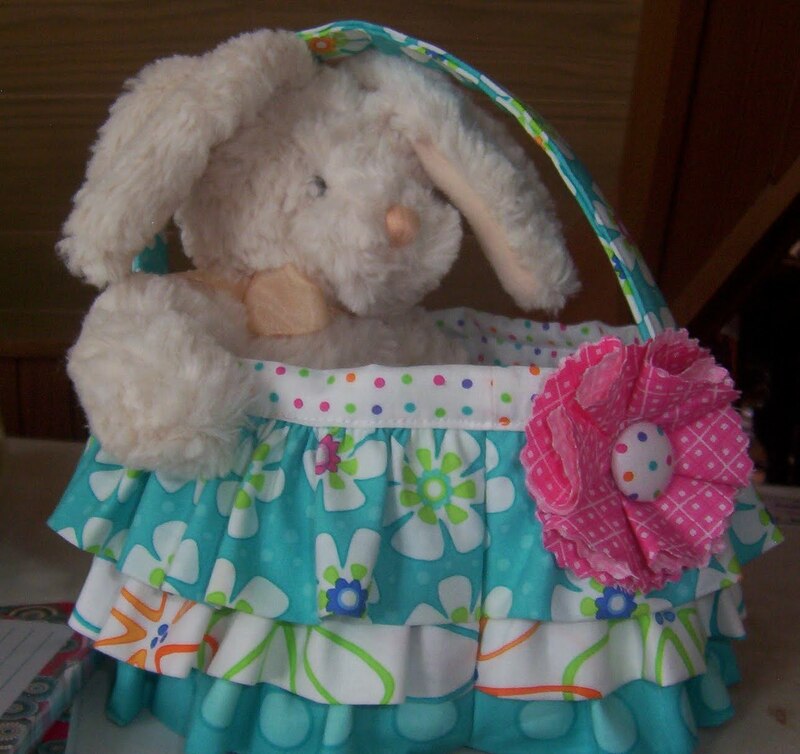 time to make this adorable Easter basket for her Granddaughter. Finally Carol was able to get moving on her Eventide. 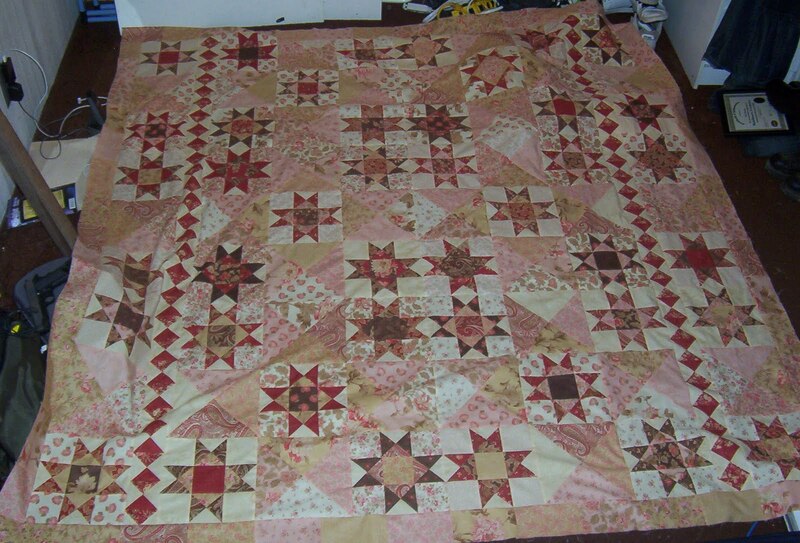 Carol used Aster Manor by 3 Sister for Moda for her Eventide. We had several 3 Sisters Eventides, but I think this was the only Aster Manor. I like it, it has a fresh summery feel to it. For some reason it reminds me of strawberry ice cream and yellow buttery sugar cookies, strawberry ice cream in the middle of two buttery sugar cookies, a sugar cookie strawberry ice cream sandwich, yes that's what it looks like to me. 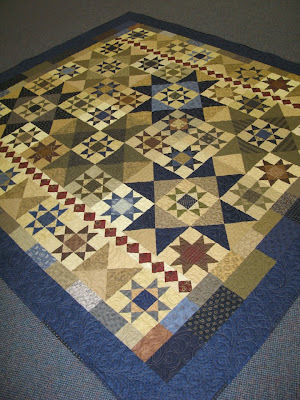 My Eventide is back from the quilter's too, I'll post pictures of it on Monday. I wouldn't want you to suffer Eventide overload. I'm very thankful that my husband and I both get to share Father's Day with our fathers and that they live close enough for us to visit. I can't be the first person to write to claim Gayle's pattern, can I? My screen shows there are no previous commenters, but there's no way I could be so lucky! Can't wait to see your Eventide! Thanks for sharing this Eventides update. I never see a pattern so beautiful with so many choice of fabrics... 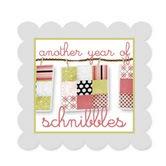 Unfortunately, mine will be not quilted until december :( not many longarm quilters in France !!! ooooo!!! last night(after i mowed the lawn) i ate some Amaretto Cherry Cordial ice cream and some Coconut Chocolate Drop cookies ... and they looked JUST like that!!! what is it with food and quilts?!? It is not possible for you to overload us with " EVENTIDE "! 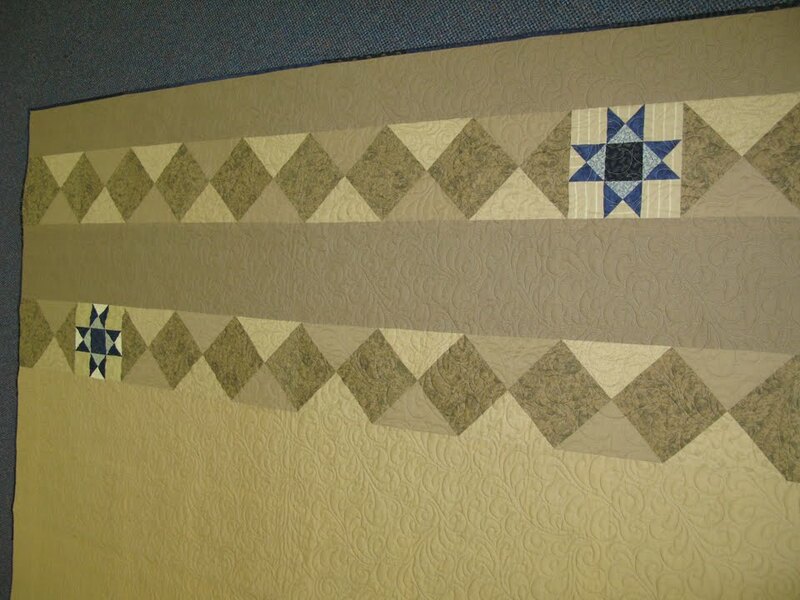 How fun to see each quilt from the sew along at their completed stage of being machine quilted. Looking forward to seeing your quilt on Monday Thelma. 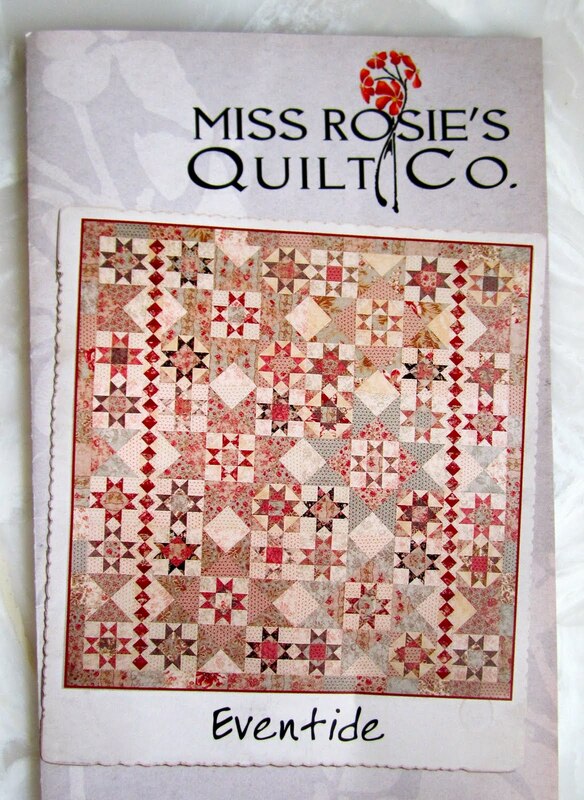 I am still waiting for quilt from the quilter. Should be any day now. In fact I have a box here with 5 quilt tops and their backing fabrics ready to mail to her . 4 or mine & 1 is a friends . Have a great Father's Day weekend ! 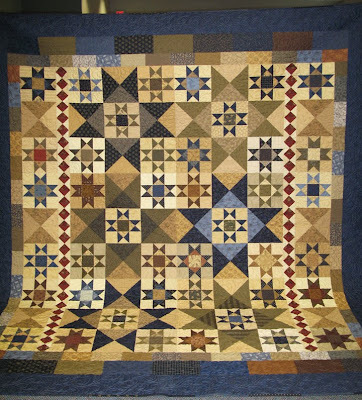 The quilts are all so amazing. Congratulations to everyone! I love how 20 quilters can take the same pattern, and even some of them the same fabric, and no two quilts look exactly alike. These are all beautiful. I'm a blue-green kinda gal so I really love Gayle's version of Eventide. All of them have been beautiful, but this one really tickles my fancy. Thanks for posting the extra photos! Great! Now I'm craving a sugar cookie strawberry ice cream sandwich. I love seeing all the different versions of Eventide! Never gets old. These are beautiful. So different. The first looks great with the allover quilting! The second is such a romantic version! 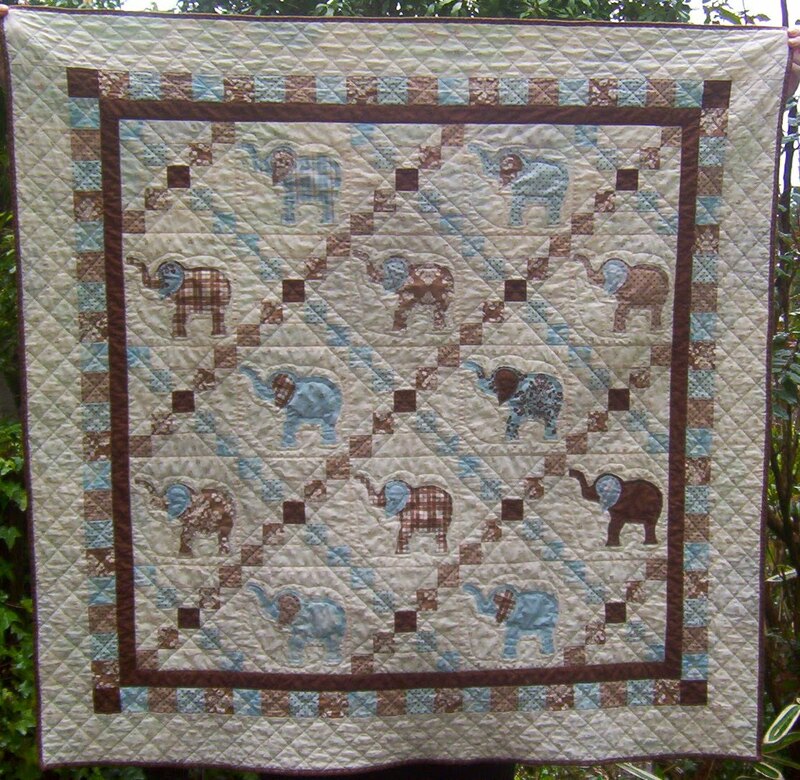 Adorable baby quilt too!